SPECIAL OFFER - CLICK ON THE IMAGE to view further details or to purchase our Latex Coated Grip Gloves. Seamless design ensures good ergonomy. Great dry and wet grip. Not suitable to be used in oily surfaces or environments. Excellent abrasion and superficial cut protection. All-round hand protection from JUBA for a budget £2.18! 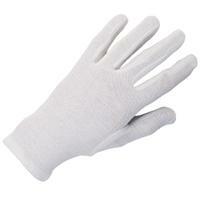 Fully coated natural latex glove with brushed cotton knitted liner providing exceptional comfort. Offers good cut, abrasion and puncture resistance making it ideal for handling sharp edged materials, refuse sacks, timber and wood panels and tiles. 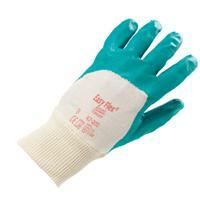 Latex dipped cotton knitted gloves ideal for most sure handling tasks. Order today for a super-saving price of only £1.23! Coated Latex palm on a seamless hi vis cotton/acrylic base for warmth. Superb grip in both wet and dry conditions. Vastly discounted price of just £2.25! Coated Latex palm on a seamless cotton/acrylic base for warmth. Superb grip in both wet and dry conditions. Top quality thermal gloves for a exceedingly low cost of £2.57! A flexible, robust glove offering great dexterity and with good resistance to tearing. 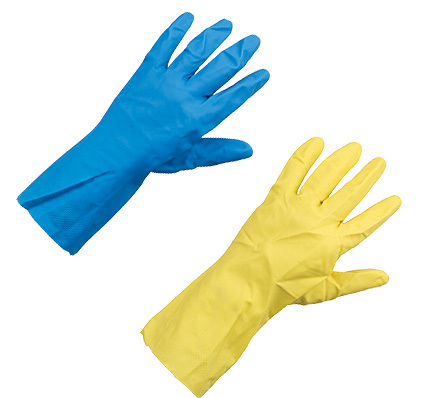 Protects the hand in damp environments or against aggressive detergents or alcohols. Ultra-low cost of only £3.53! JUBA Econit Nitrile Foam Coated Glove The nitrile foam is designed to channel oils and liquids away from the surface to give excellent grip in wet and oily conditions. An excellent choice for any builder or tradesman. 15 gauge Nylon and Lycra liner. 111801 Red Liner with Black Nitrile foam palm coating. 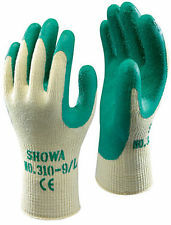 Seamless liner with a micro-porous nitrile coating on the palm and fingertips. For handling in delicate and precise operations such as packaging, automotive industry and electronics industry. Tough, long lasting hand protection for only £2.77! 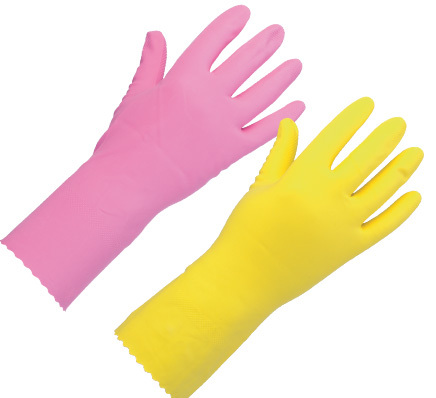 Seamless liner with a micro-porous nitrile coating on the palm and fingertips. For handling in delicate and precise operations such as packaging, automotive industry and electronics industry. Top quality gloves for only £2.85! 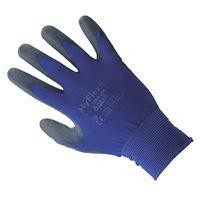 Nitrile foam palm coating on a seamless nylon liner offering with exceptional dexterity and sensitivity. Excellent grip in wet, oily or dry conditions. 2232236 Fully nitrile coated 15 gauge nylon knitted glove increases water resistance. Ideal for general handling in construction and industry. Available NOW for an outstandingly low £3.10! 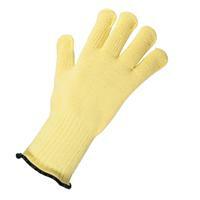 15 gauge nylon knitted glove with nitrile coating to palm and fingers. Ideal for general handling in construction and industry. Priced for businesses on a budget, at just £3.20! Knitted glove with palm coated in Grey nitrile. Suitable for light handling or assembly where a high degree of dexterity is required. Extremely durable and high quality gloves for only £1.47! Knitted glove with palm coated in Grey nitrile. Suitable for light handling or assembly where a high degree of dexterity is required. Market-leading gloves for a minuscule £1.50! Knitted glove with palm coated in Grey nitrile. Suitable for light handling or assembly where a high degree of dexterity is required. 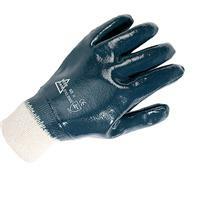 58-270 - Ideal for medium chemical applications this glove offers Ansell Grip Technology with enhanced dexterity and comfort. The thin, double-wall nitrile shell and 15-gauge seamless nylon liner offer users excellent tactility and flexibility. Offering extremely good hand protection for a budget price of £4.65! 58-530 A unique combination of grip and chemical resistance. The manufacturing process ensures that the coating polymer does not penetrate into the liner during manufacture. Unmissable prices on top quality gloves from SSD. Only £5.40! 47-200 Knit Wrist - Lightweight and flexible. Superior dry grip and better resistance to snags, punctures, abrasions and cuts. Can be repeatedly laundered to increase service life. One of the best gloves on the market, landing in at a super-low £1.75! 47-400 Nitrile coating on a 100% interlock knit lining. Lightweight. Outstanding dry grip. Excellent cut, puncture and abrasion resistance. Machine washable. For light fabrication, material handling and maintenance work. HUge savings on the best gloves available. Just £1.85! Special high-performance Nitrile coating on a thick double jersey liner. Extra tough. Ideal for handling rough, abrasive materials. Provides excellent resistance to cuts, snags, punctures, grease and oil. Not liquid proof or chemical resistant. £2.23 for these top quality safety glasses from SSD! Blue nitrile coating on a cotton jersey liner with open back and knitwrist. Ideal for automotive, construction, handling steel/sheet metal and refuse collection. 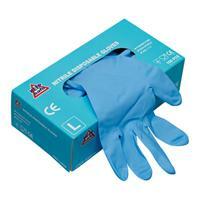 We have these truly long lasting work gloves for only £1.14! High grip latex crinkle finish on a knitted base. Maximum quality for a minimal price of £1.01! Blue nitrile fully coated on a thick jersey liner with knitwrist. Excellent abrasion resistance. Ideal for construction, street cleaning/refuse collection and fishing industry. Undeniably cost effective price of only £1.38! Standard quality 6oz. Order now for an exceptionally low 89p! Only with SSD! 52-502 - Nitrile impregnated on jersey liner. Machine washable. Protection against abrasions, cuts and snags. Excellent dry grip. For assembly, maintenance and all general purpose activities. £3.68! Towelling glove gives good insulation against heat or cold and good wet and dry grip. Fully reversible. Priced at an ultra-low 89p! 11-618 An ultra-lightweight glove maximising touch and precision. 20% lighter in weight than previous nylon/polyurethane Ansell gloves for exceptional tactility Designed for assembly tasks requiring a high degree of precision, repeated flexing and pinch. Undeniably small prices for class-leading gloves. just £2.45! 2400251 Lightweight black polyamide knitted glove 15 gauge. Grey polyurethane coating at palm and fingertips. Excellent dexterity, strong abrasion ideal for automotive assembly and fine component handling. Extraordinary low cost of only £2.10! 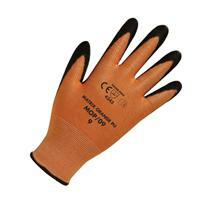 Ideal for delicate and precise operations as the gloves offer excellent levels of dexterity. Seamless liner ensures there are no seams against the wearers hand. Polyurethane coating on the palm and finger tips gives even greater productivity. Buy Now for only £1.23 from SSD! 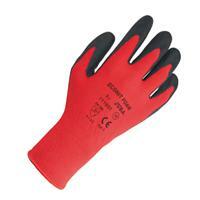 Ideal for delicate and precise operations as the gloves offer excellent levels of dexterity. Seamless liner ensures there are no seams against the wearers hand. Polyurethane coating on the palm and finger tips gives even greater productivity. Just 89p! Polyurethane's softness, combined with great puncture and abrasion resistance, make it a very desirable coating for cut-resistant gloves, provides grip and boosts puncture resistance without adding bulk or reducing touch sensitivity. A perfect choice for those working with electronics and in cleanrooms. A budget-saving 89p! Seamless nylon liner with polyurethane palm coating. Open back style allows hand to breathe. Good abrasion and tear resistance. Tight fitting for maximum dexterity. Minimal cost of only 95p! 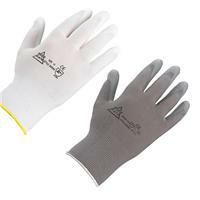 Ideal for delicate and precise operations as the gloves offer excellent levels of dexterity. Seamless liner ensures there are no seams against the wearers hand. Polyurethane coating on the palm and finger tips gives even greater productivity. 89p! Cut resistant knitted liner with Polyurethane coating on palm and fingers. Suitable for dry working conditions. 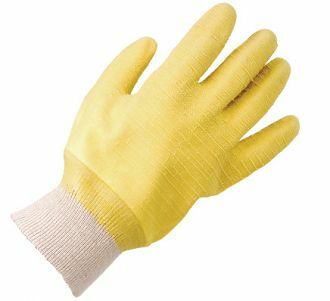 Superior work glove for only £4.08! High cut resistant liner with glass fibre provides maximum EN388 scores for abrasion, cut, tear and puncture. Seamless liner and open back style for extra comfort and breathability. Tight fitting to give maximum dexterity. Elasticated knit wrist for a snug fit. Excellent resistance to abrasion and tear. Seamless liner and open back style for extra comfort and breathability. Tight fitting to give maximum dexterity. Elasticated knit wrist for a snug fit. Ready to order now for just £6.65! Seamless high cut resistant (Level 5) Glass Fibre/Spandex/Synthetic mix yarn with PU coating on palm & fingers. Soft finish provides exceptional cool comfort. Ideal for glass handling, construction, automotive fabrication and sheet metal work. 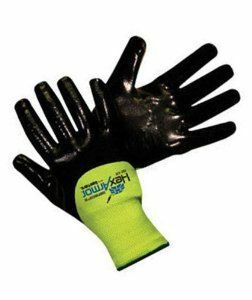 Juba Kevlar Grip Level 4 Cut Resistant Glove - 430 DuPont Kevlar brand aramid fibre provides excellent cut and heat resistance, while delivering optimum flexibility and manual dexterity.Crinkle latex coated for a firm grip on dry or wet surfaces. Not suitable for oily environments. Impressively priced at only £7.67! 80-658 Extreme resistance to cuts, splinters and burrs protects the wearer with a triple-layer construction that comprises steel, glass fiber and Kevlar. 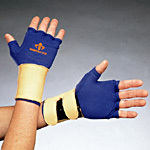 Extra-long cuff offers extended safety for the forearm. Three quarter dipped and liquid repellent. Offering superior hand protection for only £11.88! Cut resistant knitted liner with Latex coating on palm and fingers. Elasticated cuff. High quality glove for a budget-saving price of just £6.49! 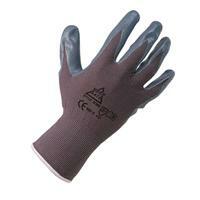 Cut resistant knitted liner with smooth Nitrile coating on palm and fingers. Ideal for working in wet or oily conditions. Order yours NOW for only £5.70! High quality leather knitwrist with cut resistant kevlar/glass seamless liner for maximum dexterity. Double stitched kevlar thread throughout for maximum strength and maximum cut level (5) resistance. Excellent grip in wet or dry conditions. Seamless high cut resistant (level 5) Glass Fibre/Spandex/Synthetic mix yarn with Nitrile coating on palm & fingers for increased resistance to oils & greases. Soft finish provides exceptional cool comfort. Ideal for glass handling/sheet metal work and engine work. Protective gloves made of stainless steel that are designed to provide protection against stabs and cuts occurring in meat-processing and textile industry. The gloves are made with 5 fingers, and are CE-labelled (conform to European Norms). Utmost metal hand protection for only £95.18! 87-195 Extra thin glove for excellent sensitivity. Specially treated to reduce the risk of allergic reactions. Idela product for cleaning, maintenance and light assembly tasks.Thickness:0.35mm. Offering class-leading protection for a minuscule £6.77! Flock lined nitrile gloves. Solvent resistance. All-round protection due to outstanding physical strength and chemical resistance. Suitable for chemical processing, food processing, automotive and electronic industries. Sanitized/ Actifresh. Order yours TODAY for only £1.30! 92-670 Made from an innovative nitrile compound which offers outstanding chemical and mechanical properties, comfort and dexterity. Feels like a second skin and is safer on sensitive skin. Contains no natural rubber. Outstandingly low cost of only £9.17! 92-500 Made of 100% nitrile containing absolutely no fillers silicones, or plasticisers.Thickness: 0.12mm. Top class gloves for a super-low £10.42! 92-600 Made from an innovative nitrile compound which offers outstanding chemical and mechanical properties, comfort and dexterity. Feels like a second skin and is safer on sensitive skin. Contains no natural rubber. Mega savings on the best range of gloves, these are just £12.53! Box of 100. 100% nitrile approved for use with food preparation. At only £7.07, order your long lasting, durable gloves TODAY from SSD! Box of 100. 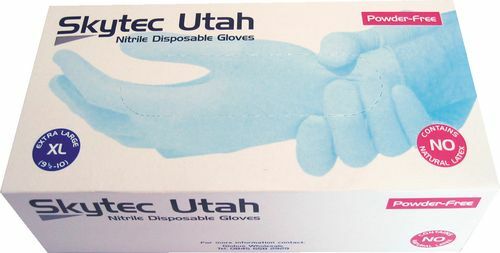 Disposable synthetic glove. Powder free, non sterile and ambidextrous. Smooth palm surface with beaded cuff. Not suitable for handling fatty foods. In stock now for a tiny £5.62! Order yours TODAY with SSD! Box of 100. 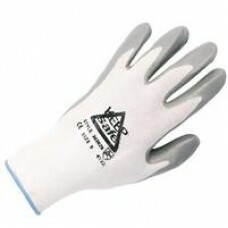 100% latex powder free gloves approved for use with food preparation. 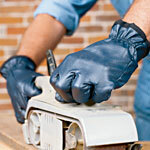 For amazing hand protection and grip, these latex gloves are great value for money. Box of 100. Smooth exterior, beaded cuff, lightly powdered. Approved for food use. Packed in dispenser boxes. We offer some of the most competitive prices online on hand protection. These are just £2.79! Box of 100. Smooth exterior, beaded cuff, lightly powdered. Approved for food use. Packed in dispenser boxes. Order now for an online low of just £4.20! Box of 100. Smooth exterior, beaded cuff, lightly powdered. Approved for food use. Packed in dispenser boxes. For a bargain price of only £4.20, get your vinyl gloves NOW with SSD! Box of 100. Smooth exterior, beaded cuff, powder free. Approved for food use. Packed in dispenser boxes. Massive savings on vinly gloves with SSD! These are an outstanding £5.38! Box of 100. Latex free and powder-free. Rolled cuff for additional strength. Oil and chemical resistant and suitable for use within the food industry. Box of 100. Extremely comfortable, lightly powdered and very versatile. Ambidextrous Latex free. A staggeringly low £6.20! Box of 100.Powder free with rolled cuff. Reduces risk of product contamination. Low protein levels and toxins, ideal for those with sensitive skin. Ambidextrous. Our cheapest price of £10.57! Box of 100. Extremely comfortable, lightly powdered and very versatile. Ambidextrous Latex free. Unmissable price of only £4.50, only with SSD! SV100 Powdered vinyl with a rolled cuff for additional strength and the prevention of liquid roll back. Powdered for easy donning and sweat absorption. Impressive hand protection for a tiny £3.62! Box of 100. Latex free ideal for those who are sensitised to latex. A thin synthetic glove with an excellent fit that feels like a second skin. Although it is a disposable glove, it is strong enough to be re-used. Ambidextrous - fits either hand. A spectacularly low £4.70! Box of 100. Premium performance NBR nitrile disposable gloves, Fingertip sensitivity,Powder free, latex free, non-sterile, Greater chemical resistance and durability than normal nitrile disposable gloves, Green colouring, Textured finish for grip and touch. These gloves are latex- and powder-free and have a textured finish for additional grip and feel. They offer good levels of resistance to oils, hydrocarbons and acids, and many other chemicals. They mould to the hand for good levels of dexterity and comfort. CAT III approved and EN374 chemical hazard approved. Patterned grip, flock lining and beaded rolled cuff. Thickness: 0.33mm. Ideal for any household and at only £1! Patterned grip, flock lining and beaded rolled cuff.Thickness:0.33mm. Amazing value at an ultra-LOW £1! Patterned grip, flock lining and beaded rolled cuff.Thickness:0.33mm. Order yours TODAY for an incredible £1! Patterned grip, flock lining and beaded rolled cuff.Thickness:0.33mm. Order NOW and get this pair of long lasting gloves for just £1! Patterned grip and flock lined, this is an excellent general purpose glove for industrial cleaning and many other applications. Ready for you to order NOW for only 89p! Patterned grip and flock lined, this is an excellent general purpose glove for industrial cleaning and many other applications. In stock for an Ultra-Low 89p! 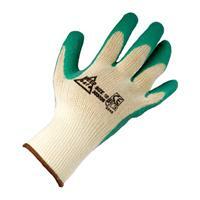 W625Y Flock lined, lightweight, natural latex glove. Strong yet sensitive formulation. Tear resistant beaded cuff for easy donning. Ideal product for janitorial colour coding systems e.g. blue in food prep area, pink in dish washing area etc. Order yours now for only £9.77! 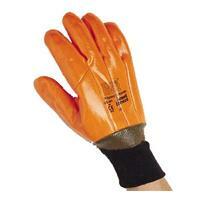 Unlined black natural rubber glove with high resistance to water based chemicals. Ideal for use where heavy duty chemical protection is essential e.g. sandblasting, sanitation, chemical handling. Unlined black natural rubber with high resistance to water based chemicals. Ideal for use where heavy duty chemical protection is essential e.g. sandblasting, sanitation, chemical handling. Class-leading quality gloves for a exceedingly small £8.47! Excellent resistance to many chemicals. Black heavyweight with flocked lining and beaded, rolled cuffs. Superb resistance to knocks and abrasions. Tough comfort and sensitivity unique to natural rubber. Reduces hand fatigue. Order today for a super-saving £2.57! Tough, natural rubber, flock-lined glove. Orange high visibility. All-over roughened hand surface gives extra grip. Fluting on the extra-long cuffs increases air flow and reduces sagging. Good resistance to many chemicals. Suitable for food use. An online low of only £2.50! Contractor quality. Durable and top quality gauntlet for excellent hand protection. 42-474 Nitrile coating on a non-woven felt liner. Machine washable. Superior heat resistance designed for intermittent handling of objects up to 180c. Asbestos free. This high quality, long lasting gauntlet is only £10.73 and is available to order NOW! Ultra-Durable and high quality shoulder leather glove with Kevlar stitching. Fully lined throughout. For businesses on a budget, only £4.35! Features lined gauntlet. Red. Conforms to EN 388 and EN 407 complex design. We have a huge variety of gloves to order for some of the lowest prices available online! These gloves are just £2.02! Manufactured from soft goat skin leather with chrome split leather 6" cuff. Mordant treated to fix colour. Lightweight and flexible. Our all-time-low cost of just £3.14 from SSD! Order NOW! Superior Canadian rigger glove, Grey split leather palm striped cotton back, Rubberised cuff, GS02 - General handling, maintenance and assembly, Category 2 - Intermediate design, Manufactured to EN388, One Size. Highest needlestick resistance available provided by the layering of SuperFabric® brand material. Tested using 25 gauge needles. Highest level of cut resistance in enhanced areas; EN388 Cut Level 5. Single glove needle solution with incredible dexterity and comfort. Three-quarter flat nitrile dip. A price-crunching £66.10, exclusively on SSD! 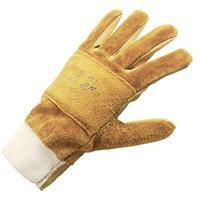 Water-repellent cowhide grain leather glove. Soft velvet lined leather on back with grain leather on palm. Poron anti-impact pads to front and back to absorb impact of shocks. Ideal for construction use and pneumatic hammer tools. Buy yours TODAY for an online low of just £12.10! IMPACTO Fingerless glove with wrist restrainer. Glove made of 4-way stretch breathable polycotton fabric. Viscolas padding in the palm and thumb web area. Detachable grain leather wrist support.Provides protection from impact and shock.Fingerless style offers optimum dexterity. An incredible £29.10! Fully coated gauntlet. Smooth finish. For general handling. Flexible, good sensitivity, comfortable in use. Good dry grip. Conforms to EN 388 intermediate design. Our best online price of only £1.77! Order TODAY! Individual air chambers - 'Air Bubble' enable long periods of useUltimate dry gripping and cut and puncture resistance. A class-leading glove from Impacto, Just £41.17 from SSD! 32-105 Regular. Nitrile impregnated on an interlock knit liner. Excellent protection against abrasions and cuts. Liquid repellent. Remarkable dexterity. Super-low price of only £1.70! 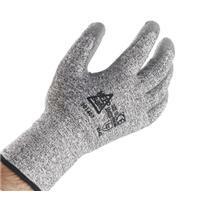 43-113 An outstanding heatproof glove with a 100% Kevlar outer and a thick cotton liner. Flexible and durable for handling most hot objects to 350c. Also gives excellent protection against cut and tear. Order yours NOW for a miniature £23.05! 23-491 High visibility orange vinyl dipped coating on an insulated liner. Keeps hands warm and dry. For local authority operatives, construction work and hand signaling jobs.Extra Long Knitwrist. Long lasting, superbly priced gloves for only £9.90! Bleached cotton Stockinette manufactured in fourchette pattern. Reversible. Super-Saving price of only £1! Our Glove and Hand Protection range includes EN388 Regulation abiding equipment suitable for any personnel needing hand protection. Whether its weather protection or grip you are looking for, we have all your Health and Safety PPE equipment at amazingly LOW prices!